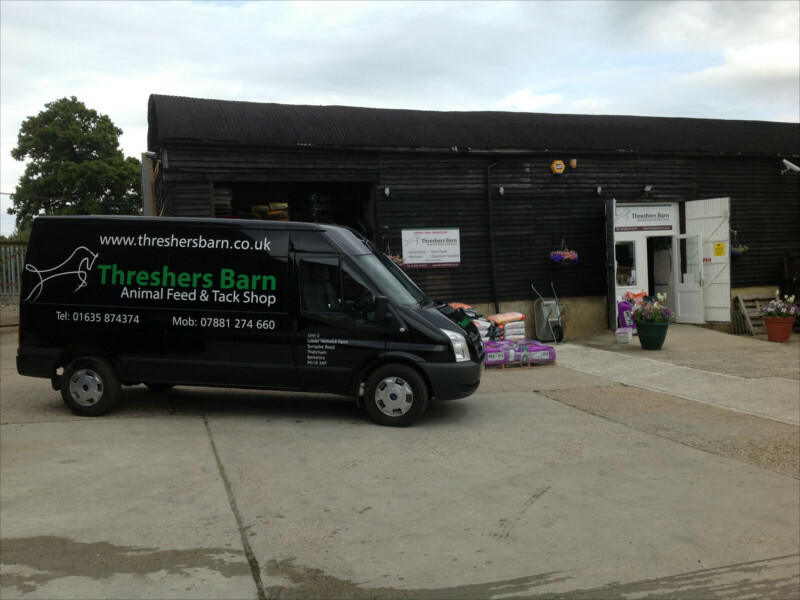 Welcome to Threshers Barn. We are committed to providing you with the very best products at the best prices. We understand horses and having considerable combined riding experience between us, we understand how important your horse is to you. We treat our customers as our friends and do our very best to offer a friendly personal service. Whether you have something specific in mind or just everyday necessities we are here to help. Where we don’t have a particular item we will do our best to source it for you and order it. 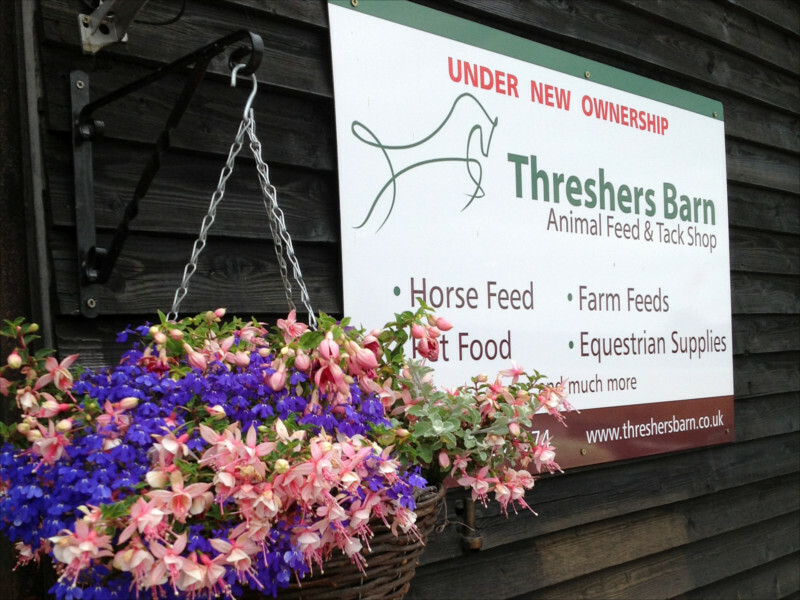 Our shop, located on the outskirts of Thatcham offers an extensive range of riding equipment, supplements, stable and yard products, comprehensive feed/bedding range and hay and straw. By dealing direct with many of the major feed companies we can offer very competitive prices and in many cases we are cheaper than the competition. In addition to the services and products offered in the store we also have a brand new delivery van to deliver your feed direct to your door. We take instruction from you and will leave your feed exactly where specified and will never leave feed or bedding exposed to the elements unless instructed. Account facilities are available for larger riding establishments and livery yards. Delivery is free for orders over £50.00.